Our Echo Express Voice Recording boards provide powerful features for building advanced Digital Voice Recorders. Each card occupies a single PCI Express slot and combines a compact form factor with very low power consumption resulting in unmatched reliability. 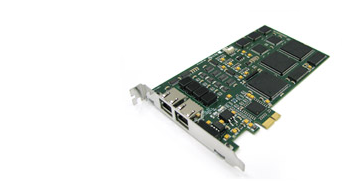 High density half length PCI Express card. Fits in every x1, x2, x4, x8 and x16 PCIe slot. Models for PRI-ISDN, T1-ISDN, BRI-ISDN, Digital handsets and Analog handset / trunk lines.